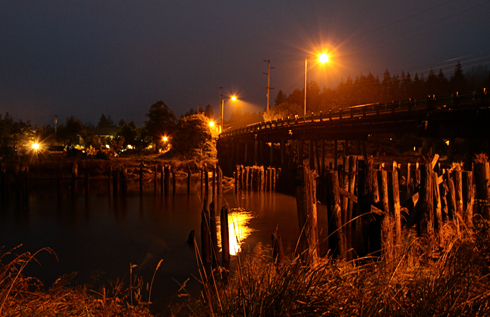 Mike and I continued our drive up the Pacific coastline having just left Seaview Beach earlier that afternoon. 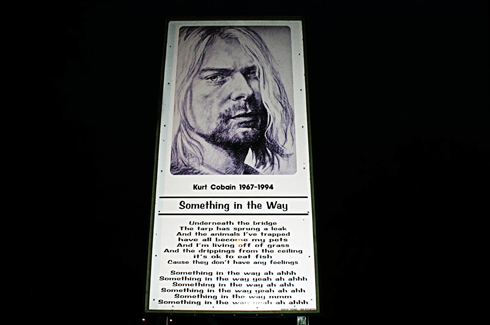 The sun had set as we finally reached Aberdeen, Washington and upon arrival the search began for Kurt Cobain's memorial. 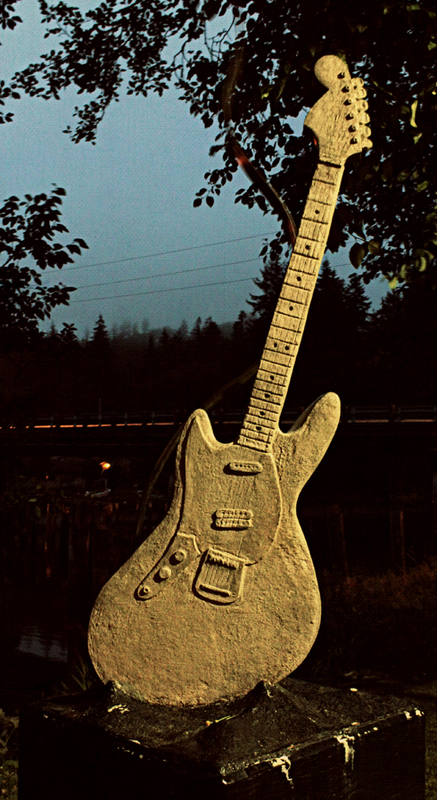 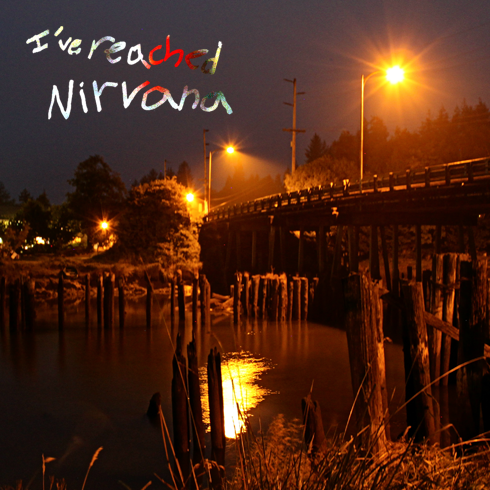 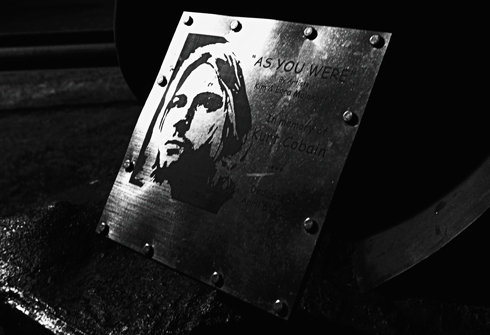 Aberdeen is Kurt Cobain's hometown and there's a small memorial located next to the Wishkah River. 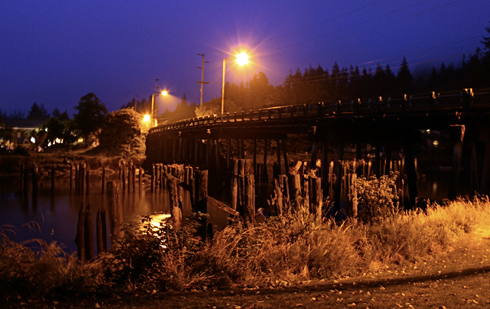 I had looked up the location prior to our trip, but now in the dark we had to do some aimless driving to try and figure out where to go. 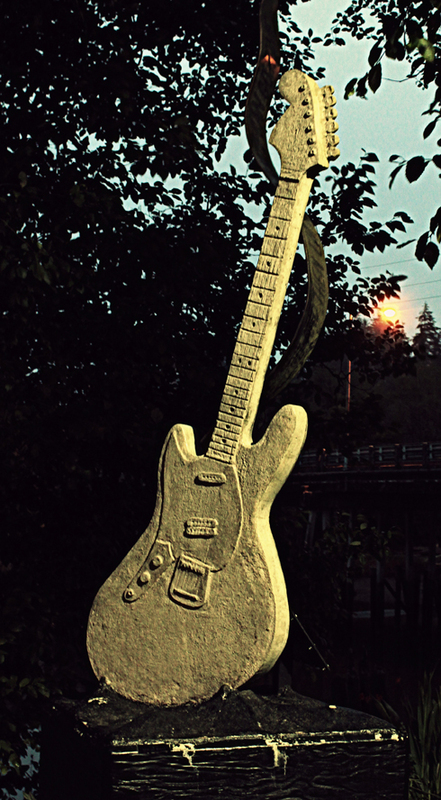 After about 20 minutes we spotted a little guitar several blocks up, and sure enough that was it. 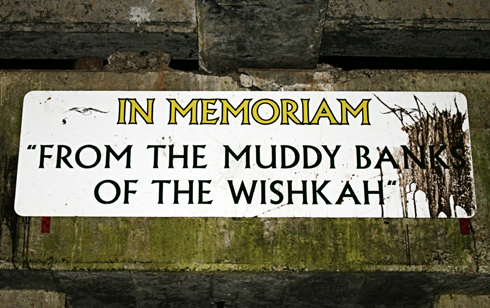 More than the memorial, it was actually the bridge that I was most interested in seeing. 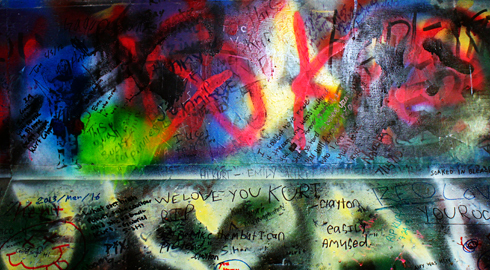 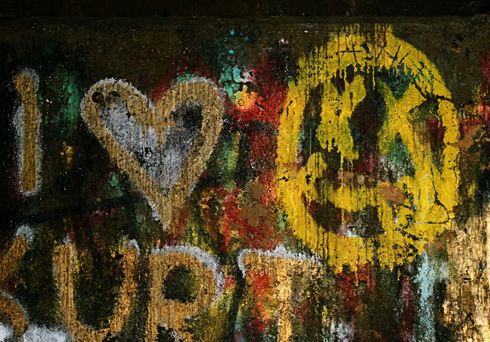 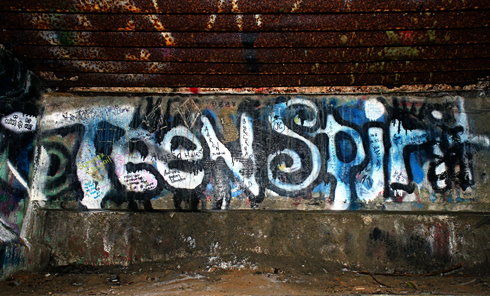 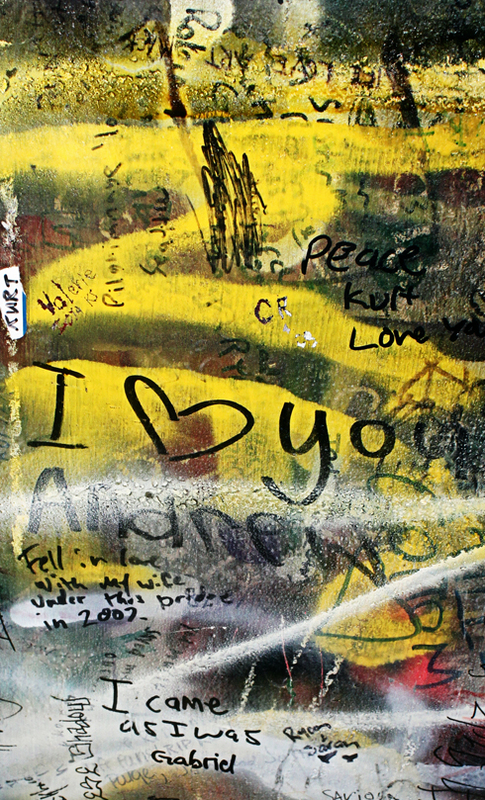 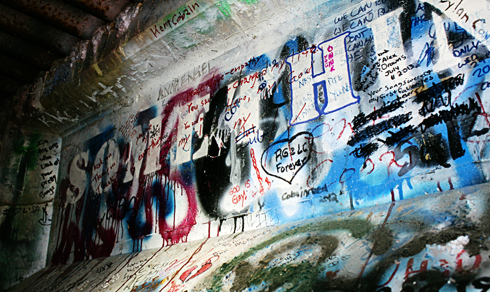 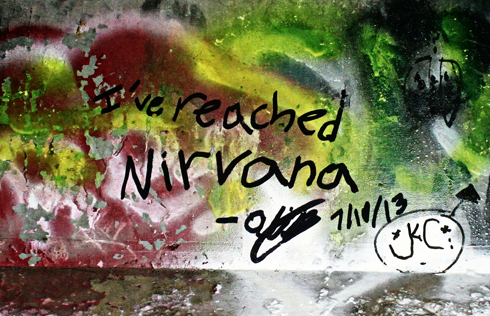 Hundreds of fans have scrawled messages under Cobain's bridge in Aberdeen. 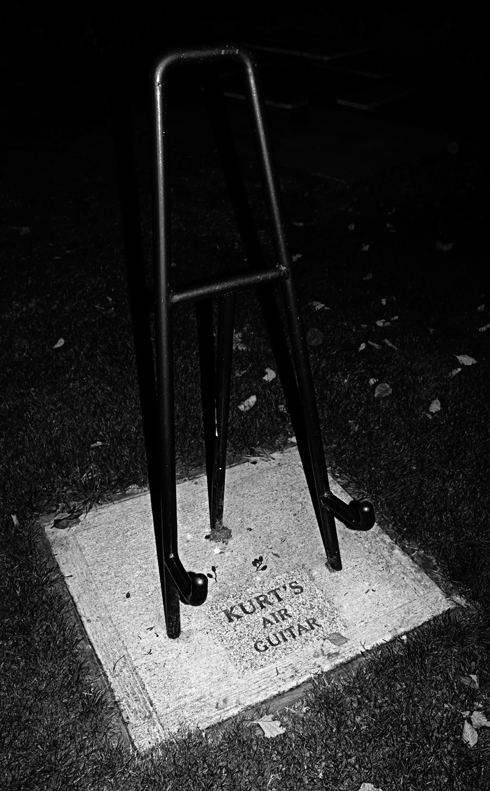 It was here that Kurt Cobain and Krist Novoselic used to hangout, which created a bit of a legend around the location and inspired the song Something in the Way on their Nevermind album. 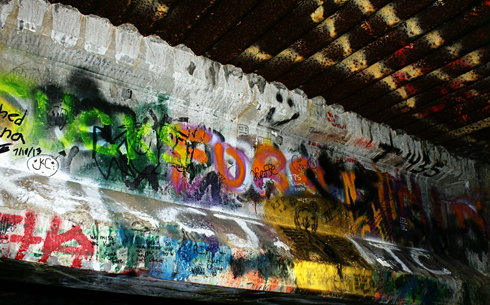 It seemed especially profound uncovering the individual messages with a dim cell phone light, realizing that so many people had traveled to this spot. 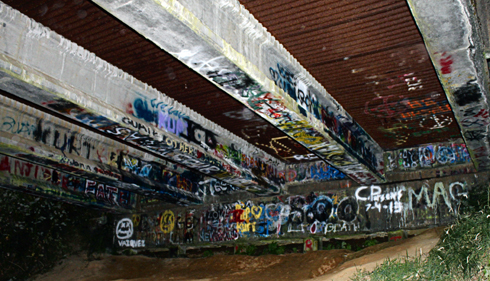 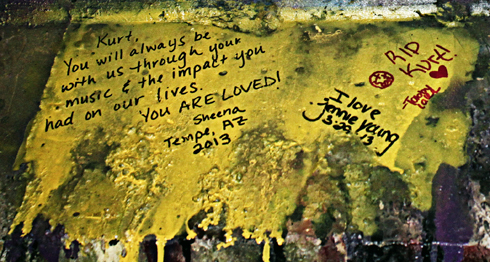 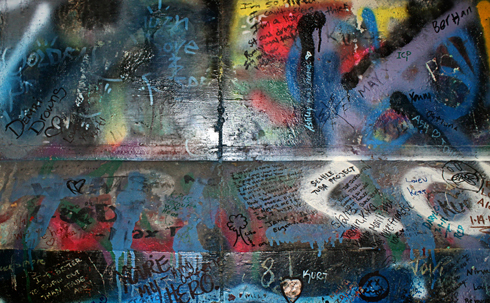 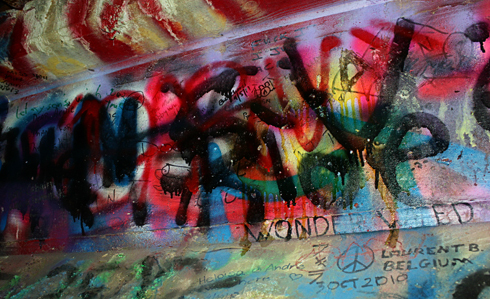 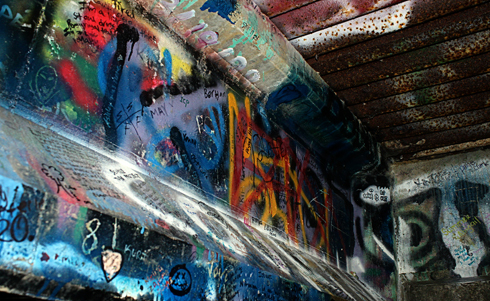 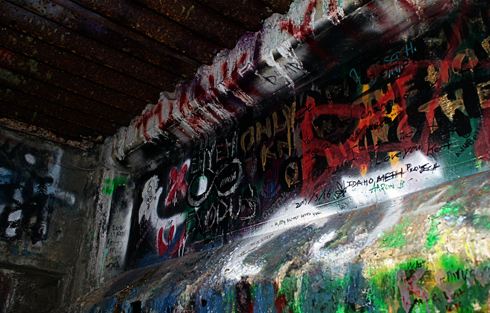 We spent most of our time checking out the graffiti under the bridge. 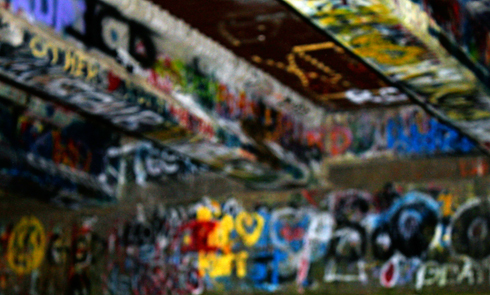 Mike lit the wall so I could focus my camera and I snapped a number of pictures with my flash to get a full image of what was actually there. 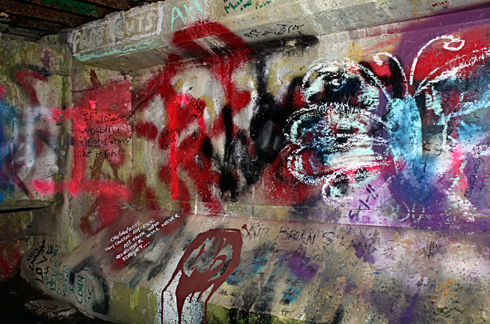 It was a fascinating, slightly eerie experience. 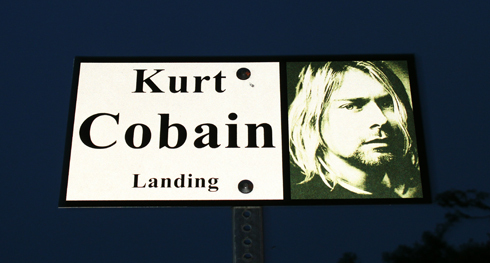 Truthfully, I didn't know just how significant the location was until I got home and read the book I'd picked up at a used bookstore in Portland. 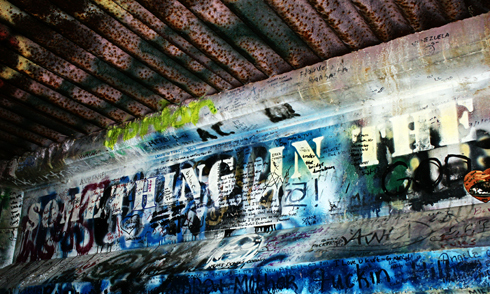 With the images on my computer though, I was finally able to read more than I'd noticed the first time around.